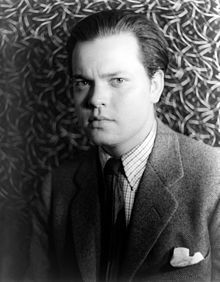 George Orson Welles (/ˈwɛlz/; Mey 6, 1915 – October 10, 1985) wis an American actor, director, writer, an producer wha worked in theatre, radio, an film. He is remembered for his innovative wirk in aw three: in theatre, maist notably Caesar (1937), a Broadway adaptation o William Shakespeare's Julius Caesar; in radio, the 1938 broadcast "The War of the Worlds", ane o the maist famous in the history o radio; an in film, Citizen Kane (1941), conseestently ranked as ane o the aw-time greatest films. This page wis last eeditit on 5 November 2016, at 19:37.